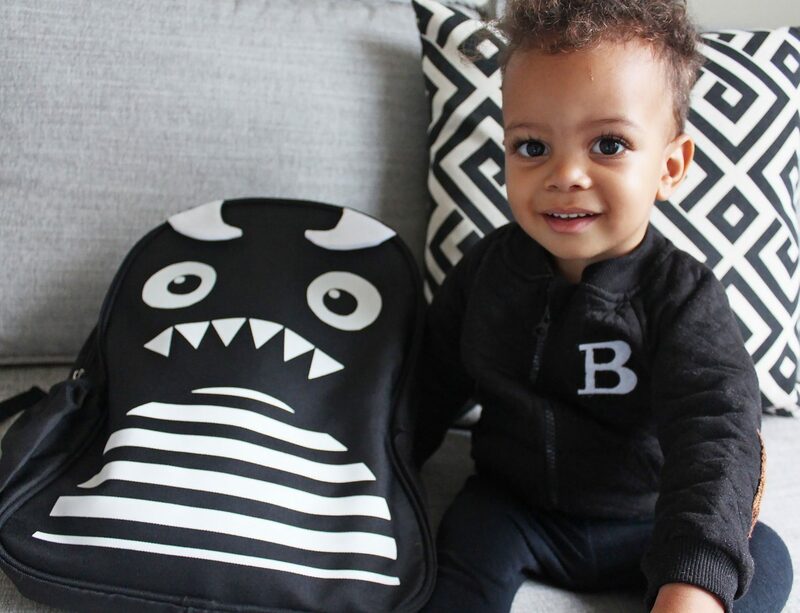 If you follow me on Instagram, you’d know that a couple of weeks ago I was an absolute wreck – wondering how I was going to send my Kai to preschool. I was so nervous! I had no idea how he was going to handle it, or even how I was going to handle it. I wasn’t questioning our decision to send him to school but more worried about his reaction to it. Up until now, Kai’s been at home all day with his beloved nanny. As much as he was progressing, we saw that he was ready for more, especially in improving his social development, vocabulary and just exposure to more people and spaces. He became more confident and was very eager to learn more. His granny’s also been taking him to moms and tots classes for a few months so we saw that he’d probably adjust well to preschool. Turns out, his first day went off without a hitch and he’s been loving his time there. One of the things that made me more nervous was making sure that he had everything he needs while he’s there. As I’m sure many of you fellow mamas are, I’m the planner of our family. I make sure that Kai’s room, clothes, toys etc. are organised so everyone in the house knows exactly where things are. And I didn’t want to be that mom who forgot to pack him nappies lol. To coincide with this big boy moment, I’m starting to put him in nappy pants. I figured, they’ll help him eventually get into the hang of potty training which his school will be doing later this year. I got mine from Clicks; they have a great baby range which I’ve been using on Kai since he was a baby. So if you’re a fellow nervous mama, wannabe organised mama or just a nosey mama, have a peek at what I’m stashing in Kai’s backpack. The way I approached this is very similar to how I usually pack my own mommy backpack (cooler way to say nappy bag, don’t you think?) and started with the absolute essentials and what the school asked me to bring. On the school’s list were: nappies, bum cream, wipes. Every parent also makes a once-off contribution of wet wipes, tissues, paper and sun block for the class. nappies, wipes and bum cream. Obviously. Nappy pants and baby wipes from Clicks. Kai uses the sensitive range of wipes. blanket & pillow for nap time: I packed this blanket also from Clicks. I didn’t buy a new pillow for him, I just used one of our spare ones from home. formula & dispenser: Kai’s on a supplementary formula so I also grabbed this formula dispenser to keep his formula powder in. It has four departments and a small spout that you can twist round to pour the formula from when he’s ready for a feed. This is super handy for on the go feeding and fitting into his bag. I think this is currently on offer as part of their 3 for 2 deals. favourite sippy cup & snack: I also pack him his own sippy cup and a snack pod with a favourite snack for him. He’s sometimes a fussy eater so I know it helps when he’s given something he’s familiar with. change of clothes: his school advised us to pack one set, but knowing my son, I stuff a few extra items in there. With the weather being as temperamental as it has been, I pack a variety of clothing to cover him in case the weather makes a drastic switch. favourite stuffed animal or toy (optional): Some parents swear by this to remind their kid of home. I decided not to pack one because I wanted him to get used to playing with his school toys and have something to look forward to when he comes home. Not in his bag, but important to remember: some type of vitamins! School is a germ fest and although he’s inevitably going to get sick, I still want to boost his immunity with some supplements. 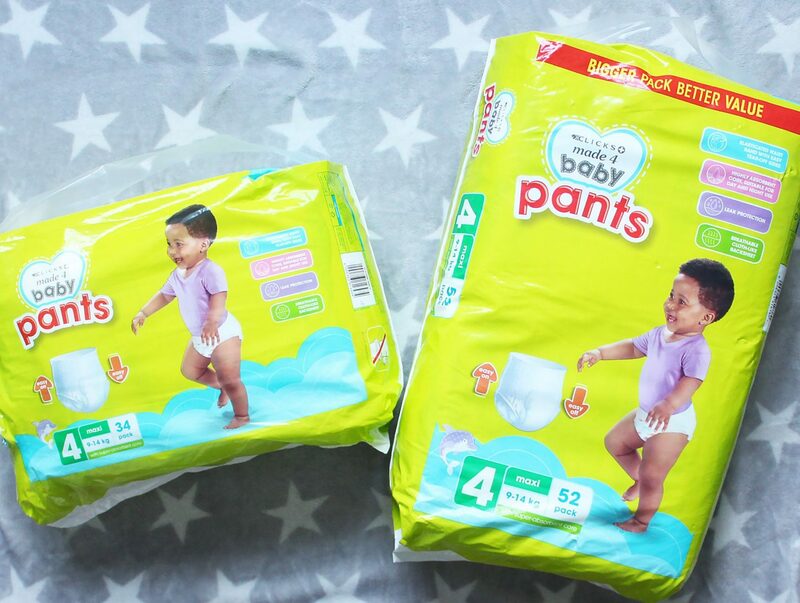 WIN a Clicks Made 4 Baby Pants Hamper! I’ve partnered with Clicks to give away two packs of Clicks Made 4 Baby Pants to one lucky mama and her toddler! In the comments below, tell me what your must-have school bag items are. For an extra chance to win, subscribe to Aisha & Life (scroll down to the bottom of the blog for the subscription form). The competition will close at 4pm on Wednesday 25th April, 2018. One (1) blog winner and one (1) Instagram winner will be chosen and announced on this and the original Instagram post by Friday 27th April, 2018. Blog & Instagram: winner will be chosen randomly. Only entries via subscription, blog comments below and on Instagram will be valid. The winner will be contacted via e-mail and Instagram DM so please be available to supply full contact and delivery details. If the winner does not respond to the email within 48 hours of contact, another winner will be chosen. All prize delivery logistics will be handled by a Clicks representative. A must for us are his nappies pants as my son has recently been introduced to his potty at daycare, his sippy cup with some tea as he loves Rooibos, extra clothes and socksand his teddy which comforts him when he misses his mama and papa! Apart from the usual extra set of clothing, diapers, wet wipes, meal+juice +yoghurt+snack (which according to the school can only be fruit or something healthy but no packaged bars) I tend to make her homemade yogurt muesli bars which she loves. We also purchased her a backpack with her name on and ofcourse, she loves it as it gives her a sense of ownership – which makes her less reluctant to refuse creche. My 2year old to be started school yesterday and I was also very insure of what to pack so just went with my mommy instincts so I have 2 sets of clothes as she is a very messy and clumsy little girl, nappies, Vaseline, wetwipes, snacks, blanket and her bum spray for her very bad smelly sticky number two’s. First of all Silverlab Ionic Colloidal healing cream for my daughter’s super sensitive, eczema prone private area. Super sensitive wipes, Change of clothes, allergy meds, asthma pump, snacks and juice bottle. My nieces must haves in a bag would , nappies, Wipes and some moisturizer or body lotion.